Pack up your books and laptops, Melbournians, we’re perking up (or should I say, quirking up) your workspace. 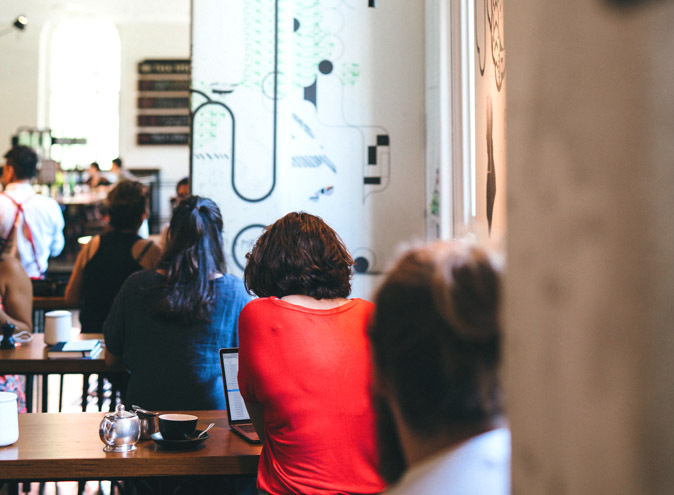 To all the hard-working 9-5ers out there, to the students cramming to master those mid-terms, and to anyone who seeks an escape from the literary death-trap that is writer’s block: we’ve compiled a list of study/work havens with decent wifi connections, quality brain food and all the keep-it-coming caffeine you could need to keep those fingers typing, hands writing and brain cogs turning. 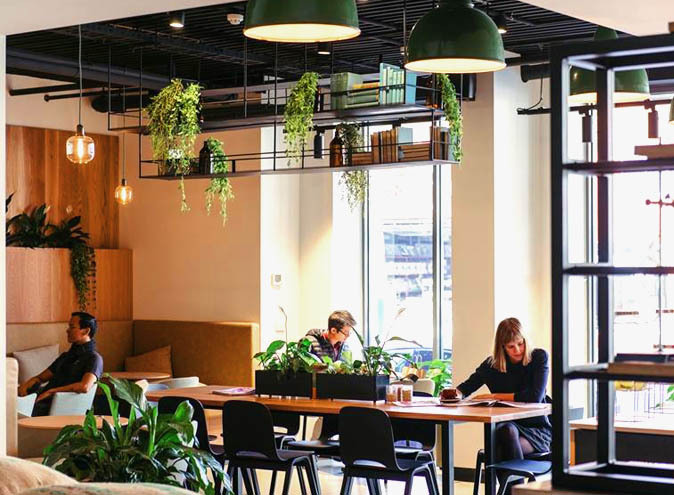 So scrounge up some stationery, grab that fancy Mac laptop and pack up those ridiculously expensive school books – we’re getting you out of those school funks and work ruts with these brand new workspaces. 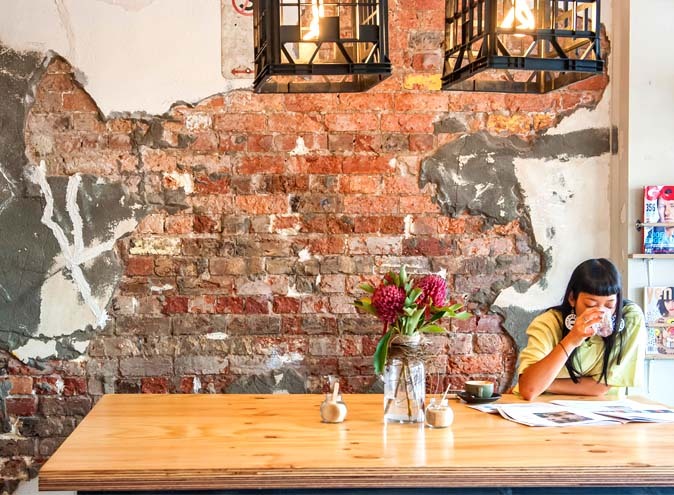 Set yourself up in the homey and charming surrounds of Auction Rooms Cafe, or take your books out back for a productive day in the sunny courtyard. 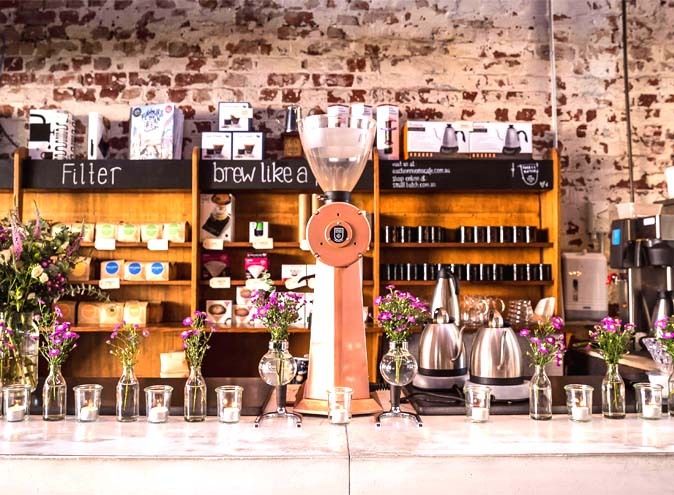 One of North Melbourne’s most iconic spots, this rustic-chic cafe has the granola to get you started, a packed veggie salad to keep you going, and artisan St. Ali coffee to keep those productivity levels flying high. When the day is done, treat yourself to a $12 Bloody Mary! It’s important to reward yourself. Is there really a better place to work than next door to the State Library of Victoria? Popular among the RMIT crowd, the historically charming Mr Tulk is home to spacious tables with mounted lights that invite you to work until those assignments are good and ready for submission (or until 5pm). With simple and reliable breakfast dishes – we’re talking omelettes and nutritious muesli bowls – quality coffees as you go and a library right next door, the convenience is seriously unbeatable. For those who enjoy the glorious makeshift couch-desk, say hello to Campos. With cosy seating, extra pillows for comfort, and PERFECTLY ROASTED coffee, Campos invites you to power on for hours. This industrial hangout is home to a calming interior, and is decorated with open tables, spacious seating, scattered greenery and large open windows that look onto Elgin Street. Complimented by its sustainable and ethically sourced coffee, Campos ticks all the boxes. 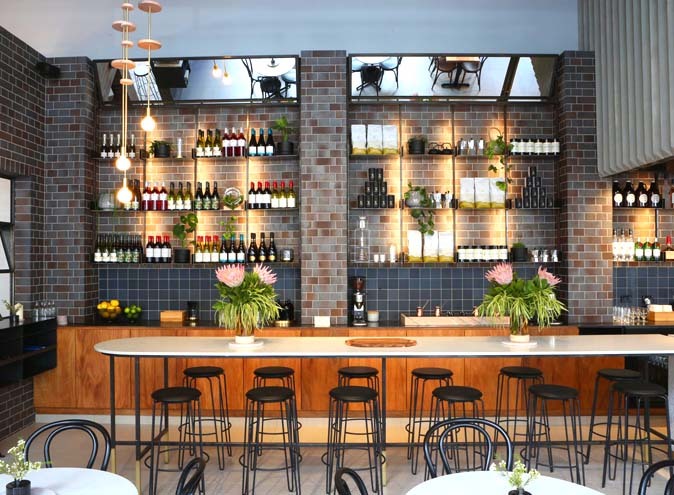 A popular choice among the Melbourne Uni crowd, Stovetop presents a sleek and stylish space with plenty of opportunity to set yourself up for study, away from the hustle and bustle of Melbourne’s CBD. With an innovative brunch dish to get you started (try the chia pudding or glorious grilled haloumi) and delicious single-origin coffee to keep you going, you won’t have to slave over the stovetop to get work done. Apart from the highly admired food, there’s plenty of room for you to work. So head in after the morning rush and fuel your energy (and your Insta feed) with these insane Instashakes™ (picture a mountain-looking jar filled with maltesers cheesecake slice, chocolate mousse and jaffers). Get going on those conclusions folks, you won’t want to miss this.